Firstly, urgent attention is required in Roscommon/ South Leitrim to sort out water quality. Nobody should have to pay for bad quality water. Water service can be delivered to customer at a fraction of what is being recommended at present. Increased local employment throughout the country. Reduce the use of treated water. Septic tanks and Sewage systems work more efficiently. 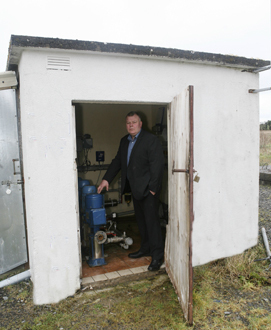 Reduced cost of electricity and maintenance at pumping stations and treatment plants. All my life I have been involved in the GAA and I have the utmost respect for the trojan work being done by so many people who give of their time voluntarily year after year to keep the tradition of our Gaelic games alive in every corner of the country. Of course, I also support Soccer, Rugby and Hurling and any games that help social interaction among our young people. I am always happy to support community projects through practical assistance or sponsorship.